I'm enjoying my time back on Galactic Civilizations. The team is working on lots of neat things for the upcoming version 2.0 update which is due this month. There's a new resource called administrators. Your capital world provides N of them where N is based on the size of the map. Building a starbase consumes one. You can get more by researching government related techs but that means you're not researching weapons or economy techs. 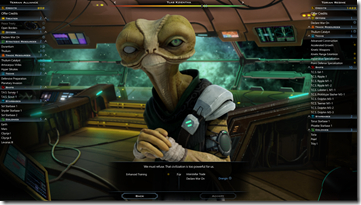 The practical effect is that it takes a little pressure off the idea that you have to spam out starbases and also gives some advantages to smaller empires who can now choose to use their starbases to improve morale and productivity in their home systems. When I play other games, I tend to cheese. There have been patches made for games over the years to counter some of my cheese. There's plenty of diplomacy cheese in GalCiv also and thanks to player feedback, I was able to b-line my way to it. But it wasn't just cheese that I wanted to improve on. I wanted the AI to do more trading and less "give me stuff please". So I worked on the diplomatic system to work harder on coming up with trades. It'll probably be one of the first things players notice. More AI talk with more interesting trades. One new system I spent some time on was the concept of redlining. When I inevitable have to work on contracts in my "day job" at Stardock/Mohawk/Oxide I do what is called redlining. That is where I make marks on a proposal as to why I think we should pass on it or cross out things that won't work for us. 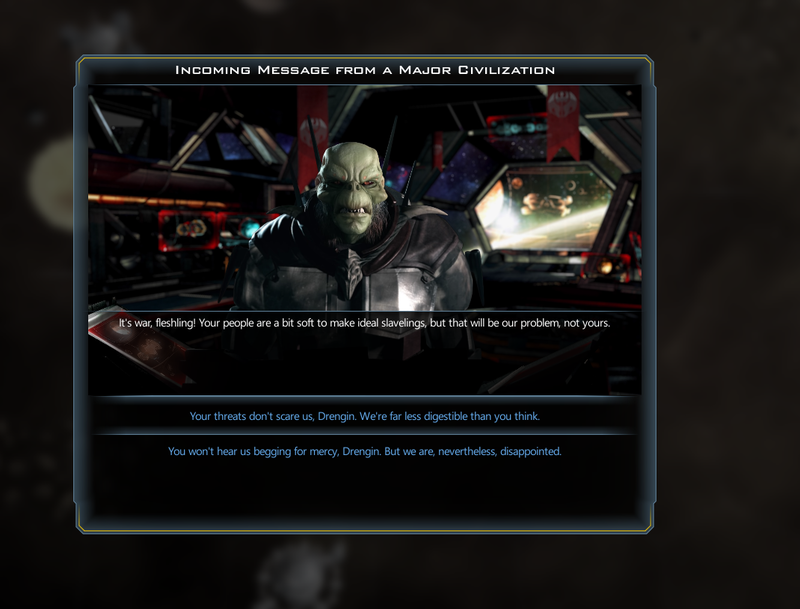 One of the first things I did when cheesing GalCiv was to use the old technique of manipulating the aliens to do things that weren't in their best interests. Now, to be fair, most people don't do this kind of thing but once you do it, it's hard not to do it. See the pTradeOffer there? It was the full detail of what was being offered and the AI looks at it in lots and lots of different ways. So what I did is add a vector of redlines to it. That is, the AI can be evaluating an offer and say "Hey, this tech is too valuable" or "Those guys are too tough" and add that redline to the trade offer. Then, when it gets back to you, you see why they rejected it. And in the process of implementing it, I went ahead and got rid of some of the things I was exploiting like how easy it was to get other people to do your dirty work (you can still do it but you need to have a lot of persuasive ability or have a much better deal or both). I don't expect this next change to be universally loved and I haven't gotten approval yet from the GalCiv III lead designer, Paul Boyer to check this in. But anyway, I really really REALLY hate the ship list thing. 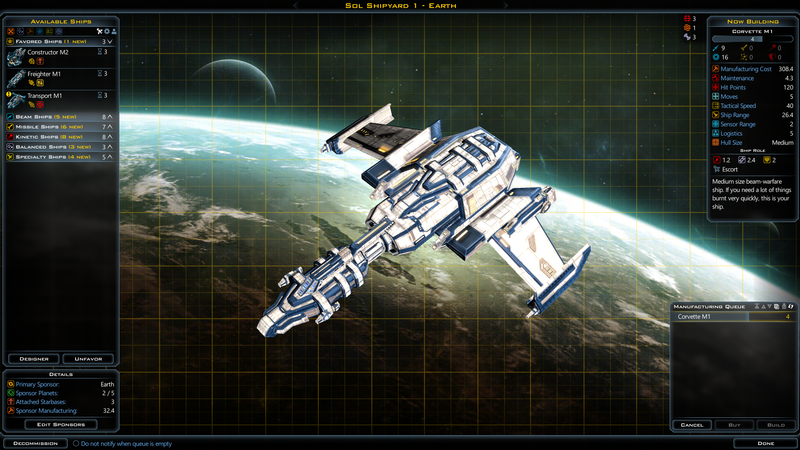 That is, when I go to pick a ship to build, it gets filled with tons of auto-generated ship designs. None of the filter options work for me (i.e. I don't like them). So instead, what I did was make it so that when you first load up the game, only your favored ships are shown and the other ones are folded up. 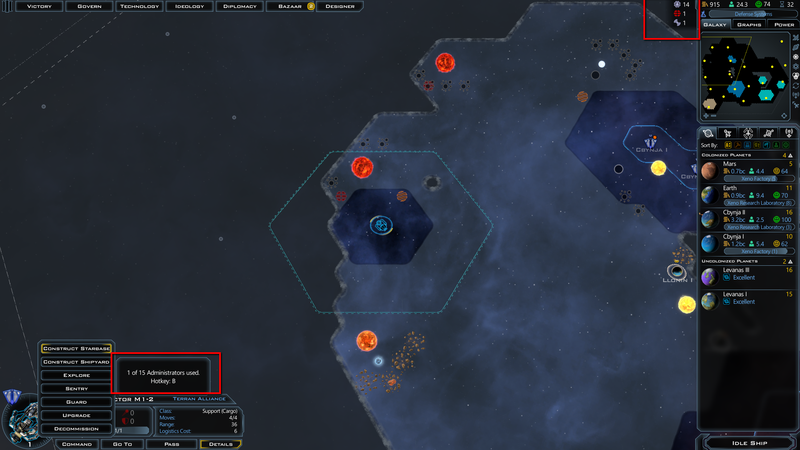 Then I made it so that if you click on the label (like Beam Ships) it'll unfold the other ships. Now, the trickier thing I had to do was when designing a ship. I wanted my ships that I designed to automatically show up in the favored list. It was annoying to design a ship and then have to go look for it. 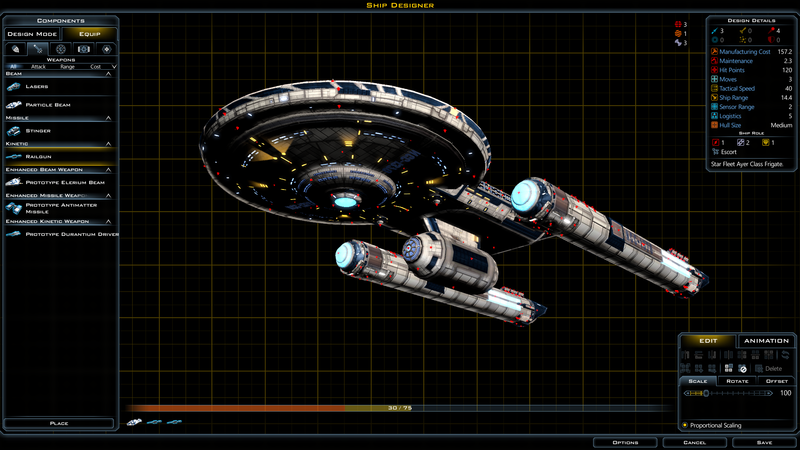 So now, when I design a ship and save it (in this case, I'll call it the Intrepid class). Ironically, this proved a lot tougher than you'd think because the ship design screen deals primarily with saving files where as the ship build list actually deals with UI handles (which don't exist when you design a ship since you haven't added that ship to a listbox list yet). There's a lot of other stuff going into 2.0. Today I'm working on late game AI stuff. This free update is due this month. Stay tuned! Great stuff! Good luck with the late game issues. That will be a big help to the game. Looking forward to trying the AI stuff out. Things certainly seem to be on the right track! WoW this is amazing! Thank you and I look forward to see it! Am I understanding correctly that there will be a limit to the administrator resource amount, or is it that you will generate N points of administrator points over time with larger maps having a higher base value? If it's the former, I don't think I'm going to like this change. While I understand your stated reasons for this change, I don't think the benefit of reducing the stress to build starbases outweighs the game changing effects of providing a cap to the amount of starbases you can create. It honestly seems like an arbitrary cap. 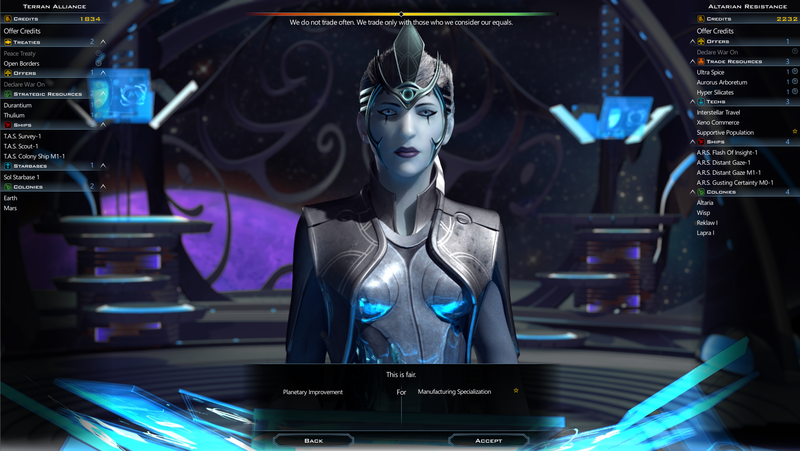 Limiting what the player can do so the player will not feel inclined to do an action as much should be done only on game breaking mechanics, and building lots of starbases doesn't seem to me to be a game breaking mechanic as it does take time and money. 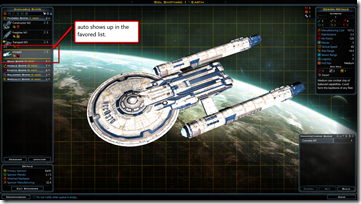 If a player builds tons of starbases they do so at the risk of halting production of other items, which is something the player should have to consider and be allowed to either fail or succeed depending how they've gone about it. It feels like you're dictating how players should play by saying how many starbases can be built. Another point is that bridging the gap between a small empire and a big empire by limiting starbase production seems like a poor way of going about it. 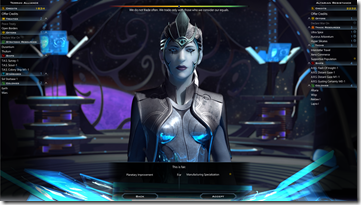 Currently, a larger empire can support a larger amount of starbases than a smaller empire because the larger empire has the production and income to create and support said starbases. And to be honest, what's wrong with that? A more successful player should be allowed to expand as much as he can. Telling the player otherwise does not make for fun game play. This is a game of building an empire, expanding your borders, building larger fleets, creating trade routes, and spreading your influence. It's a 4X game, and expanding is one of those X's. 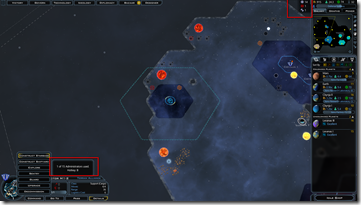 If you are going to provide a limit on how much a player can expand in a category, it should be for a better reason than reducing the stress to expand and to bridge the gap between smaller and bigger empires. With that said, I do love the game and I am looking forward to the patches this month overall. This reply is just my initial reaction to the administrator resource, and I have no idea how it will mesh with other unannounced changes, so it's very possible I'm not aware of the larger picture. Any new updates on upcoming expansion "DLC"? Great work though waiting to see these changes in action. But: Currently when not at war we can do nothing but build ships and constructors at our shipyards (and that's very tedious ...). 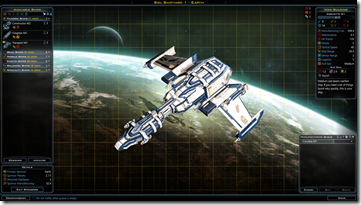 Since building lots and lots of war ships eventually has to stop because of maintenance costs we *must* build constructors to enhance existing and build new starbases. So when that is not possible anymore, what can we do instead (since we cannot just let our shipyards unoccupied; perhaps that has to change)? I play only insane maps, so above considerations are only my own and for that style of gameplay. These sound like great improvements! Question: in your look at diplomacy, were the various broken treaties and options fixed? Doing so would go a long way to making diplomacy a fun part of the game. One thing I'd like to see implemented is a means to repair and upgrade existing ships using shipyards rather than cash. This would provide another function for the shipyard that would be useful in the mid-to-late game. I'm not sure how difficult this would be to integrate into the current code--but if it were something that just syphoned off resources from the total manufacturing (e.g., a property that gives a negative value, like -3.5 from total manufacturing for repair--and on the ship upgrade end, it would need a separate payment option, like one button that specifies the number of credits and another that says "use shipyard" that is only enabled if the ship is stationed at a shipyard...), anyhow, I'm sure this is more work than I expect, but it may not be too bad... I think it would add a lot. Just a thought. I wanted the AI to do more trading and less "give me stuff please". It made me very happy to see this. It annoys the crap out of me when the AI keeps asking me to just give them techs for free, and then has the nerve to get pissed at me for saying "NO". Especially considering that I can't ask the AI to just give ME techs for free. I also like the administrators idea a lot. It is kind of like logistics for fleets. You can only effectively manage so many ships coordinated together in a fleet; kind of makes sense you can only manage the logistics of keeping so many massive structures in space supplied and running effectively. Both of which you can get better at by investing research time into making them better. Really liking the vision moving forward that I am seeing so far. Thanks much for the update Brad. I really like that it will not be that simple anymore to drag the AIs into wars just to weaken everyone - it's too easy indeed. Nice to see this game receiving more updates! first thank you for all the work you do. As you nitpicked the ship designer a bit in this post... can I direct you to this? I really wish the game would see a ship design that we upgraded from a pre-existing design as an UPGRADE that we could then go into the ship yard and just use the Build Current Design button. This UI element currently only works with game generated ships... and really who uses those? Is this update big enough to be called "2.0" or is it actually "1.10" ? Well this is great work and I applaud you. Another thing I would like to see is some auto-updates to custom ship designs. Right now, if you unlock a stronger weapon in a tree (say, a stronger beam weapon) all your auto ships upgrade to them, but not your custom designs. Why not? It isn't too much harder to do it with a custom design than to an automatic one. You just need some rules. As in, fast designs remain fast, high damage designs remain high damage, and so on. That would cut a huge amount of tedium from longer games where you unlock a lot of warfare tech. Also, if the faction definition could include a "use this ship design type", then custom factions could be set to use the custom ship designs they come with wihout having to have an actual mod made. Brad, although I like what I've read so far about the administrators and think it sounds like a step in the right direction, would you also consider changing how the bonuses from overlapping startbase zoc's stack? Please add a law of diminishing returns.... Please? I don't want to see the incentive to have overlapping SB's done away with outright, but the crazy, crazy high bonuses from several feel like a total cheese factor, one that cannot be ignored. Thanks. The idea of seeing less "give me stuff" and more complexity in trade behavior is very pleasing. And I think I'll like the ship list changes (especially if it ends up including some way to get that Build Current Design button to recognize custom ship upgrades). But I generally agree with Naric re the Administrators thing, especially in the context of the largest maps, and extra-specially the largest maps with tight clusters. I could be courted into cheering that change if it came along with some serious additions to starbases, e.g. unanchor like shipyards have, advanced techs that allow additional functionality rings, multiple expansions of area of effect, and in the very late game, very expensive high-tech modules that let you build habitats that can host space-based versions of the planetary improvements. Basically, if we're to have an arbitrary cap on the number of starbases that based on the structure of a faction's political economy and not its size, then we should be able to invest more heavily in making those limited/scarce resources more useful. Very happy with the changes outlined so far for the next patch. Keen to see more and also to learn about more about how you're tinkering with the AI. Definitely the changes to trade are a big one -- for so long now it has been very easy to manipulate the diplomatic trade into disproportionately favorable outcomes for the player. What needs a serious look is the alliance/treaty system. Alliances are... apparently a box that gets ticked on the path to a victory condition and not much else. Treaties I have only ever used for the sole purpose of 'buying' techs and source income rather than a strategic decision that has a mutual benefit geopolitically with another civ. I like the admin concept and I would think that opens up some interesting opportunities to combine it with a government system, but I'm not sure if things like senates/houses/dictaterships, etc are in the scope of 2.0 or the upcoming expansion. I'm really looking forward to seeing how this update will effect empire planning going forward given that starbases are a pretty key piece of economic infrastructure, as well as seeing if the AI now actually offers up interesting trades decisions, which if I am honest, never really have ($100 to go to war?! 0.o). Anyway, glad to hear you're enjoying being back with GalCiv. Best wishes to you and the GalCiv team! Love this. Limits breed creativity. I would like to see some ideas along the lines of what Philocthetes said. If we're going to have "tall" starbases, let's make them sufficiently different from "wide" starbases. Strange, can't seem to get the neurotic facial twitching going, regarding the (potential) UI changes. Will be sure to check in with my physician, as this seems to be highly irregular behavior! Looks like a very nice update, and having the version number rounded off, will beyond doubt lead to a more wholesome feeling of cyclical completion, as the wheel turns once more. We are talking about a milestone, after all! Thank you, Stardock Troopers. Now beware those bugs. In response to Noric who wants unlimited amounts of constructors. The game was getting 'too messy' and there needed to be a cap on things a player can do. Putting a soft cap on the number of star-bases a player or ai can build will go a long way to help minimize star base spam. One of the biggest complaints was the micro management associated with the game and star base micro in particular. By limiting how many a player can build now you impact that problem. Before a player could blindly build hundreds of constructors with zero worry it would impact economy or your empire. Now we must make choices on where to send those constructors, it is something we needed from the start. I would like to see something to do with your empire if it is NOT building constructors or military ships. The answer that is the projects. I also feel that 'happiness or economy' needs to take a hit as we get 70% or more of the Galaxy colonized. This will force players to focus planets on happiness or economy but I admit this may not be as fun as it sounds. Inter-empire trade routes that have choices in them like 'happiness routes, production or food' would also add a bit of interaction, much like Civ 6 does. I'd like to see more things going on in our map. Civ 6 does a good job with this albeit it does tend to make your map messy late game. Once again, Kudos to the Stardock team. One thing nobody mentioned is Brads nod to Paul. I was a bit worried he was not actively hands on Gal Civ III. I am happy to hear he is! I like the in empire trade idea. Yep, glad to see Paul is still in the game, so to speak. He does seem to have this rambunctious AI programmer on the team who is shaking up all sorts of things. Maybe Paul should talk to that programmer's supervisor about it. So basically GC2 diplomacy and logistics by another name is back. The administration-system is a hard-cap, not a soft one. Because even if you can increase it with research, this is limited. it doesnt make sense to build anything than farms(and some special-improvements) on a planet.